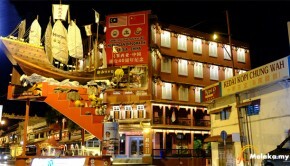 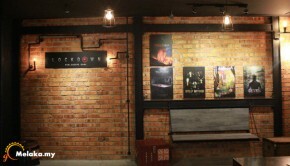 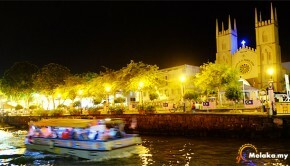 You can take a rest here after a walk along the Jonker Street. 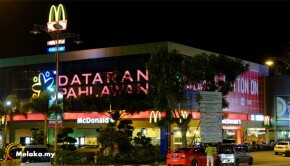 Nice pit stop on a hot day: air conditioned, clean and spacious. 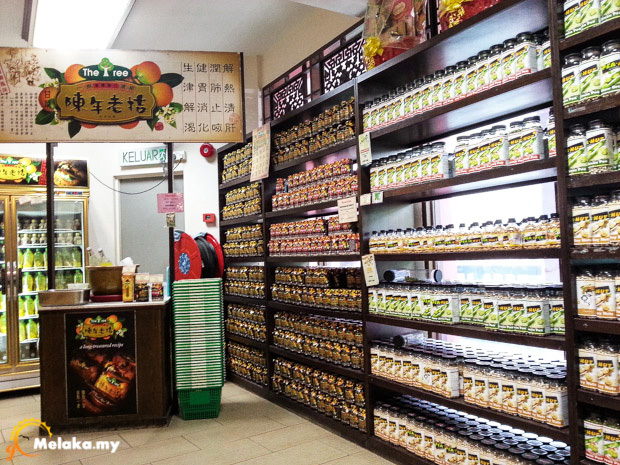 The refreshing lime juice is served in their original bottles. 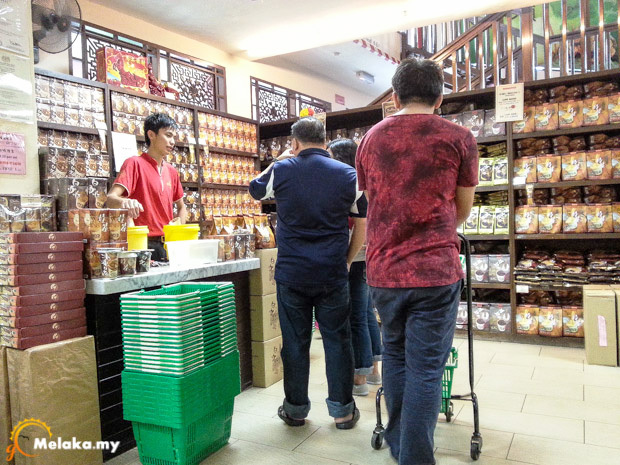 Chinese snacks are very good here, especially the durian cendol. 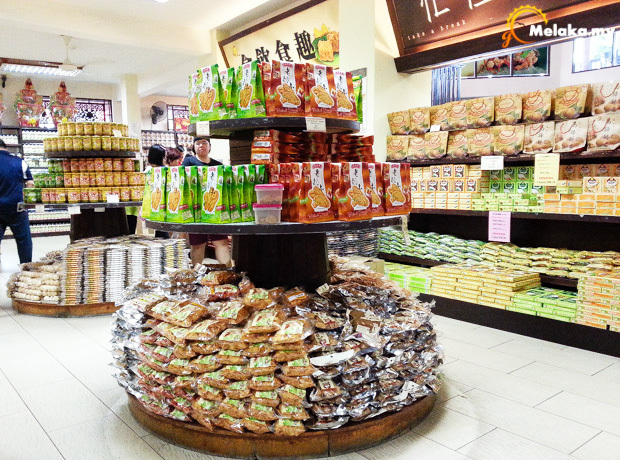 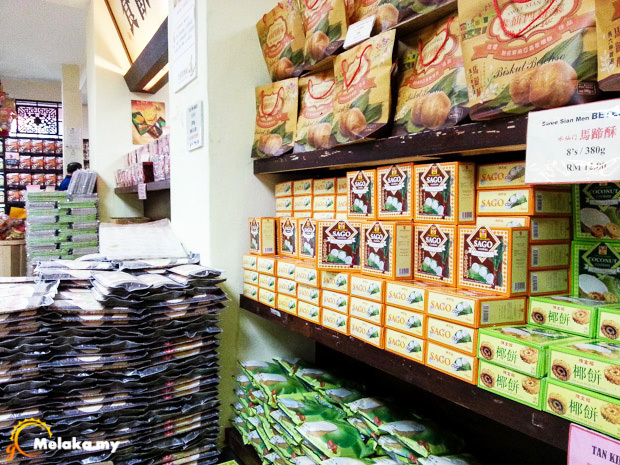 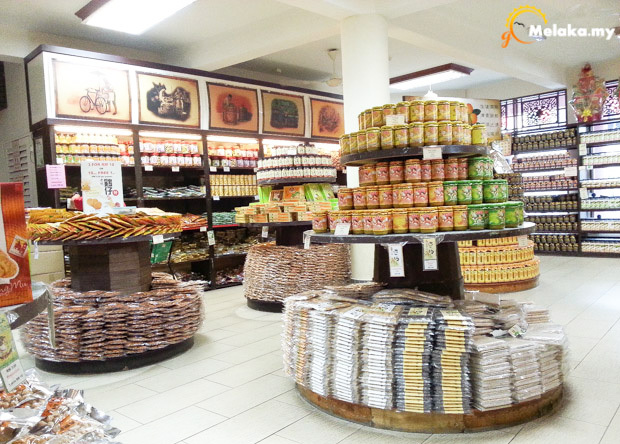 There are a lot of local snacks like pineapple tart, different peanuts snacks and different types of sauces. 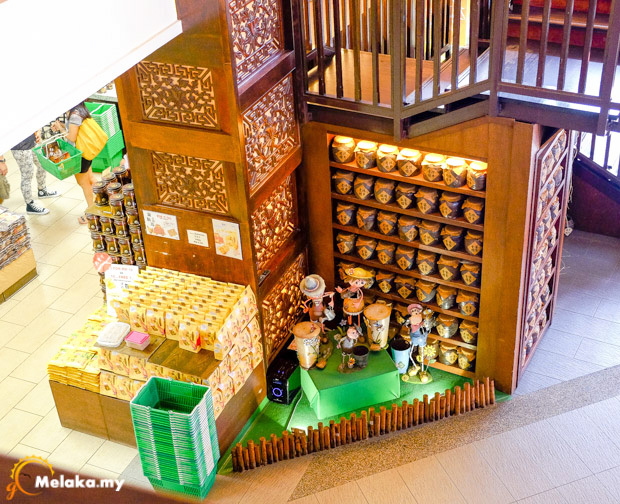 Next to it is a small store also run by them, selling souvenirs and nice cute dolls.